When M-People won this year’s £25,000 Mercury music prize for their album Elegant Slumming they were, they say, “really, really surprised”. That surprise soon gave way to something less gratifying, though, as the British rock media set about discrediting the judges’ verdict. Amid a welter of recrimination, which thoroughly justified the Mercury’s claim to beong “the Booker prize of the music industry”, the charge sheet against the victorious M-People read as follows. First, they, or their record company, had somehow rigged the competition. Second, Elegant Slumming, one of the most commercially successful albums of the year, was, in fact, a ghastly, trivial record and completely unrepresentative of the best of British and Irish music. Third, it only won because the previous two Mercury winners had been white, all-male rock bands, and political correctness demanded that a disco-ish sounding group with a black female singer be given some encouragement this time around. 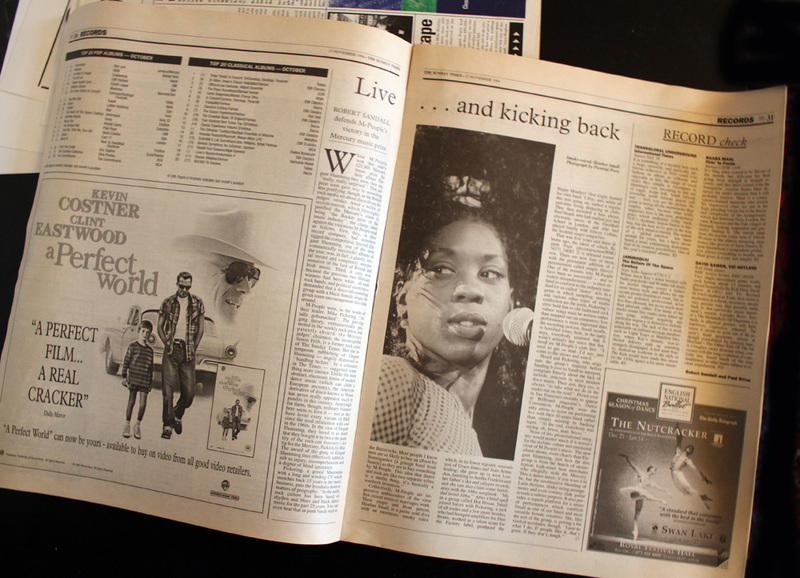 M-People were, in the words of their leader, Mike Pickering, “Totally gobsmacked”. The jury-rigging theory, enthusiastically promoted in the weekly rock press, was patently absurd: the Mercury judges’ chairman, the incorruptible Simon Frith, is a former rock critic of The Sunday times. But the intemperate rubbishing of Elegant Slumming — angrily dismissed as “handbag techno” by a columnist in The Times — suggested something more sinister. Unlike the more abstract, electronic forms of dance music (which can claim European ancestry), the American derivative of disco known as house has never really appealed so much to pundits in this country. Annoyingly for them though, ordinary listeners seem to love it — just as they have loved every variant of R&B since the mod infatuation with soul in the 1960s. In the case of Elegant Slumming, they loved it so much that they bought it in twice the quantity of the rock-crit fraternity’s hot tip for the Mercury, Parklife by Blur. The award of the gong to Elegant Slumming thus effectively added insult to injury, incomprehension and a degree of blind ignorance. Collectively, M-People are impressive ambassadors of the view that mixed mixed musical marriages work. Their singer and front person, Heather Small, is a petit soul diva with an enormous , smoky voice which, in its lower register, reminds you of Grace Jones and Joan Armatrading; she grew up in west London, listening to Aretha Franklin and her father’s ska and calypso records, and she can also claim familiarity with the Abba songbook: “My dad loved Abba.” After a brief spell in a group called Hot House, Small joined forces with Pickering, a jack of all tradesand a few more besides, who had humped amplifiers for Dire Straits, worked as a talent scout for the Factory label, produced the Happy Mondays’ first single, formed his own band, T-Poy, and while all this was going on, earned a regular part-time living deejaying in clubs. They then recruited a bass player, Paul Heard, who had studied jazz and electronic music at the Guildhall School in London, and who had played briefly with Edwyn Collins, the Scottish singer-songwriter.